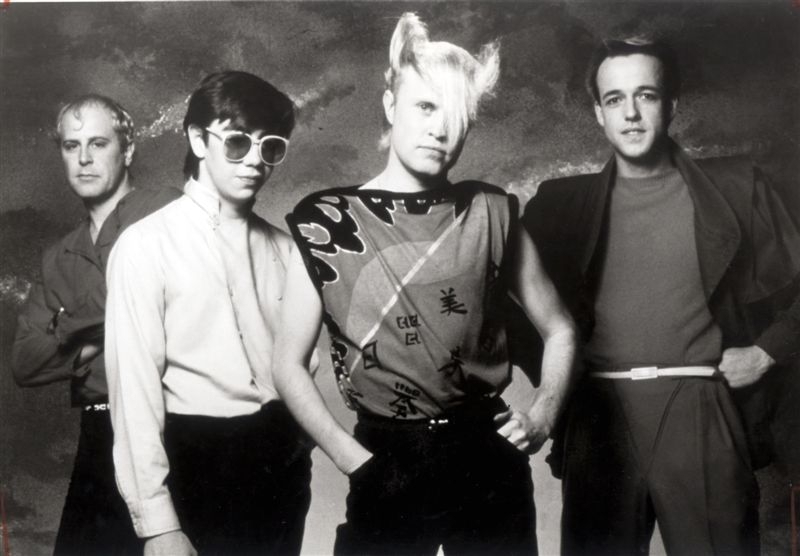 A Flock of Seagulls, back in the day when New Wave was in and America hadn’t been hit by New Coke yet. Yes, that same eighties one-hit wonder band that you thought had long since been disbanded is still alive and performing. Notice that we didn’t say “alive and well”. That’s because the only original band member of the oceanic birds has been the lead singer and keyboardist, Mike Score, a former hairdresser whose wavy, oversized avarian hairstyle became the band’s trademark. The band is perhaps best known for its 1982 hit “I Ran (So Far Away)”. Over the years, band members have come and gone, but the U.K. band still travels and performs. 2. Thanking the crowd for attending and encouraging them to download “I Ran”, even if it’s through Limewire or an illegal site. 9. Assorted disposable drinking and eating utensils. Richard Zowie runs several blogs besides this one and sometimes even posts here using the pseudonym C.F. Twob. Send comments to ponderingsfrompluto@gmail.com. Actor Wil Wheaton has just finished filming his scenes for the upcoming season of 24, and the actor says he couldn’t be happier. As previously reported here, Wheaton will play an American Muslim who’s actually a rogue Israeli Mossad agent undercover. The actor declined to say whether or not his character had been killed off. Actor/director/political activist/know-it-all Sean Penn has signed on to reprise his stoned surfer Jeff Spicoli character in a sequel to the early eighties hit Fast Times at Ridgemont High. 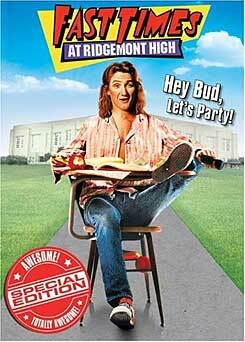 The movie will be known simply as Fast Times at Ridgemont High 2 and will track the lives of its primary characters. C.F. Twob: Sean, how did this sequel come about? Sean Penn: Well, I was bored with winning a few Oscars and decided to revisit a character I haven’t played in a long time. CFT: Jeff Spicoli, you mean. CFT: Will it be hard to get back into character after such a long layoff? SP: No, not really. Jeff says stupid, off-the-wall things and so do I. Sometimes I think I never really got out of character. You know, sometimes it feels as if Jeff Spicoli’s been playing Sean Penn and not the other way around. CFT: I take it you smoked a lot of marijuana during the filming of Fast Times. SP: I noticed you used the past tense, “smoked”. You assume I don’t smoke pot anymore. CFT: If you still smoke pot, would that account for some of your crazy political assertions, such as how Bill O’Reilly and Howard Stern should be traded for Osama bin Laden and how President Bush was a crazy man? SP: Yeah. It would also account for the flattering columns I wrote about Iraq and Iran for the San Francisco newspapers. Penn spoke during the interview about some plot points from the new movie, but he asked that they not be revealed due to the script still being finalized. Questions? Comments? Leave a comment here at the blog posting or go to ponderingsfrompluto@gmail.com. Isn’t that great? After all, people think waterboarding is torture (if only they ever read about what our men suffered in the Hanoi Hilton and what Chinese dissidents suffer in the Bamboo Gulags and what Cubans on Castro’s bad list suffer). But think about it: without torture, would we have all the leads we’ve had in the war on terror? Do you think Al Qaeda insurgents would give up their plans and their friends if we offered them all the virgins they could sleep with and all the cigarettes they could smoke? Torturing terrorists helps us get information to keep this country safe, so, therefore, I love torturing terrorists! 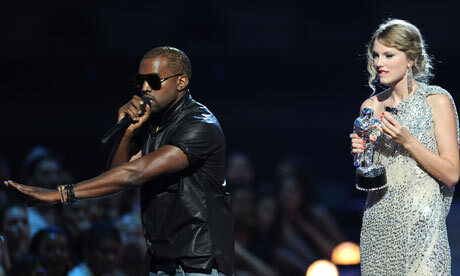 An hour or so after embarrassing himself and Taylor Swift at the Video Music Awards, Kanye West helped himself to too much cognac (or as he likes to call it, “sippy sippy”), and let out some disturbing details about himself. 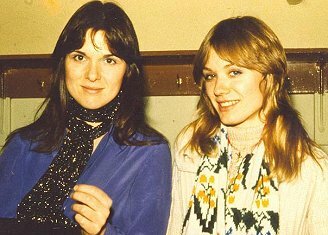 For Ann and Nancy Wilson, imitation appears to be the most sincerest form of flattery. Describing itself as a tribute band of the seventies and eighties pop rock band “Heart”, a group of San Antonio-based friends have announced they are forming a Heart tribute band. Identifying themselves as Mike J., Sammy K., Stacie Z., Sally L. and Billy R., the five singers will perform as a tribute band and sing such Heart classics as “Barracuda”, “Alone”, “These Dreams” and other songs. Neither of the Wilson sisters could be reached for comment. They have been best known lately for publicly prohibiting John McCain’s failed presidential campaign from using the song “Barracuda” to introduce running mate Sarah Palin (who was nicknamed Sarah Barracuda in high school). You are currently browsing the Ponderings from Pluto blog archives for September, 2009.